An unhinged tycoon. A lodge of evil magicians. 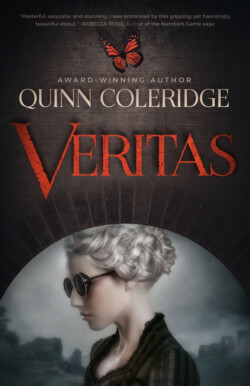 As Veritas of 1892 Stonehenge, Colorado, Hester Grayson helps restless spirits cross over by bringing their killers to justice. 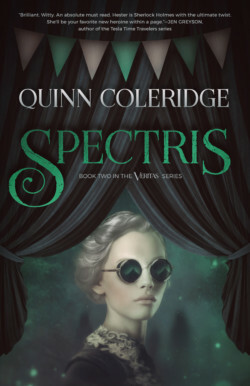 Blind and pale as an albino, she dwells on the fringes of the nouveau riche, working with her telepathic beau Tom Craddock to capture the guilty. Yet all sleuthing comes to a halt when Tom is gravely wounded, and Hester is cast out of her parent’s mansion into the brutal squalor of an asylum. At the mercy of an insane doctor, surrounded by agitated ghosts, Hester fights to maintain her own sanity by planning her escape and the downfall of her enemies. 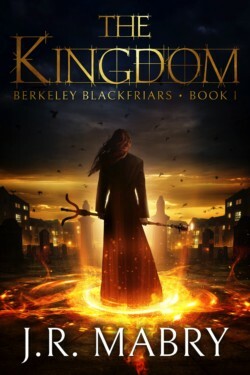 Can she achieve her goal and expose the madman who sent her to hell? Or will he continue his bloody reign in Stonehenge? After a deadly bombing at a Stonehenge lace factory, Hester Grayson is surrounded by more spirits than ever before. Spectris everywhere, with only Sir Death to call upon for help. Undaunted, Hester investigates and discovers that her dearest friend’s betrothed, Isaac Baker, is implicated in the crime. Intent on clearing Isaac’s name, Hester encounters opposition when local coppers prove corrupt, and Sir Death disappears upon the arrival of a mysterious circus. Will Hester succeed in freeing her ghosts and an innocent man? Or will she have hell to pay for failing them? Kira Moore is a zero—she can’t read thoughts in a mindreading world. 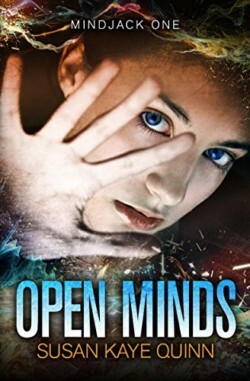 When she accidentally controls her best friend’s mind and nearly kills him, Kira tries to hide her frightening new ability, but she’s quickly dragged into a hidden world of mindjackers. Amanda-Jane Page is just an ordinary girl struggling to make a living on the streets of Manhattan. When she discovers she has the potential to be a Magi, she’s drawn into a hidden magical civil war. Her mysterious link to an ancient Artifact discovered in the Egyptian Desert draws her into a race to control its power. Finding others like her, together they must stop the dangerous and powerful dark Magi, led from the shadows by the mysterious witch Yasmin. Amanda must learn the ways of Magic to stand a chance against the forces arrayed against her. If the Artifact fell into the wrong hands, it could change the war and mean victory for the forces of evil. Amanda must accept her Magical heritage and stand against the darkness. Amanda has returned to New York, the city she loves, with her closest friends. But Lucian, a Dark Magus, Crime Lord and so-called “King of New York” rules here. Trespassers are shown no mercy and are quickly killed. As Amanda attempts to settle here, she must resist Lucian’s campaign of terror against her. She finds herself under surveillance, dealing with troublesome Magi Politics and fighting off dangerous assassins as she tries to make a home for herself. Amanda must find the courage to resist the darkness and to stand up for what is right. She needs to have unwavering confidence in her new abilities as a Magus if she’s to have any chance against this powerful dark Magis. If she doesn’t, even with help from an unlikely ally, her life and the lives of her closest friends are in grave danger.